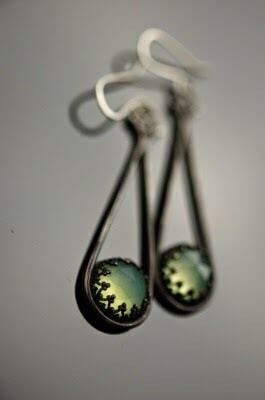 Julie Kujawa is an amazing artist and metalsmith. She creates and fabricates one-of-kind beautiful fine jewelry, designed to be passed down from generation to generation. Whether it’s a wedding set, pendant or earrings, Julie’s designs are breath taking and pieces to be cherished. The Stories of Stones: Julie likes to work with clean and elegant designs without a lot of ornamentation. She believes the stones speak for themselves and do not need a lot of extra narrative in the design. She enjoys watching the designs come to life. Playing With Metal: Working mostly with silver, but also a little with gold, she designs a full range of jewelry, including wedding sets, cuff link, pendants, pins and earrings. 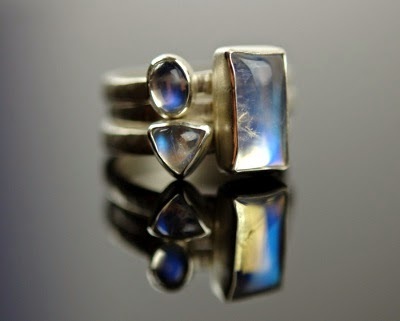 She has a fondness for labradorite and moonstone and works those into a lot of her pieces. Ideas come to her when she is playing with the metal. A design will catch her eye, and she will forge ahead. Creating the jewelry is a fluid process. Seeking Creativity: Julie says she was always drawn to art. She liked art as a kid and likes photography. About 3 years ago she tired of her desk job as a corporate travel agent, and was looking for a profession that allowed her creative juices to flow. Julie decided to take a course in metalsmithing and jewelry fabricating to see if she liked it. She obviously did. The MetalSmith: Julie then attended the American Jewelers Institute here in Portland and studied the art of metalsmithing. Julie reports it is a difficult skill to master. She works with fire and hot, melting metals. After heating the metal, she lets it cool and works with it while it is still soft and before it hardens. Hammering hardens the metal. 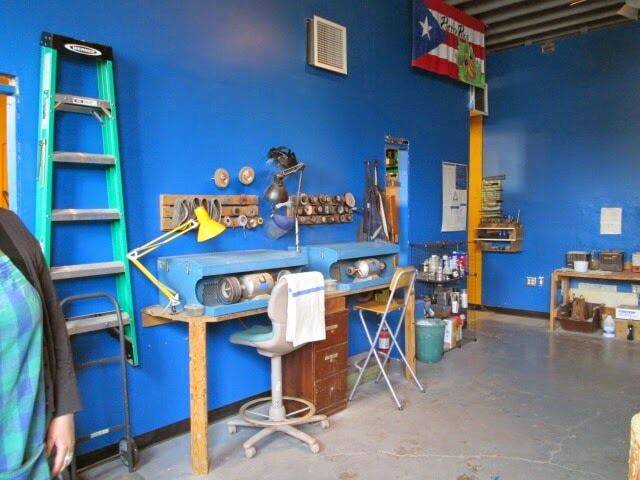 The Studio: She shares studio space with 8 other artists-metalsmiths doing similar work. Julie explains that she has learned more working in the shop than at school (isn’t that often the case?). 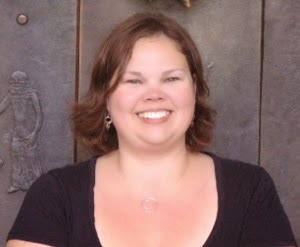 She is part of a new venture, Portland Metals Guild, which is an organization for members to promote each other’s work. You can find them here on Facebook: https://www.facebook.com/portlandmetalsguild. Fingerprints: It is in the studio where Julie meets with clients seeking custom jewelry to discuss the concepts and the design. She enjoys the collaboration with her clients. She works with a lot of couples seeking custom wedding bands. She loves seeing the couples excited to design something together. One popular technique is for her to grab the fingerprints from the couple in wax. She then creates a wax mold of the fingerprints, and the fingerprints are then designed into the bands. Meeting Challenges: While Julie obviously loves designing jewelry, she admits it is not without its challenges. For starters, she works with chemicals and hot metals, which are safety concerns. She is also working in a field mostly occupied by men. There are two other women in her studio, which she likes. She also feels accepted by her peers. As with any business, sales are crucial, but she does find success at her Etsy shop. She sometimes sets up at art shows, and she likes to wear her own jewelry, which is a great form of advertising. I think she has built a wildly successful business in such a short time! She is designing work that she loves, and that also is a great achievement. The World of Julie: Julie is also an avid traveler, and perhaps that is why she originally began working as a corporate travel agent. She must have seen my eyes go green with envy as she listed all the places she has been and wonderful things she has seen. She told me about the weekend jaunt to Sao Paulo, and the three days in Lausanne, Switzerland. Despite having traveled all over, she still has a few destinations on her bucket list, including a trip to Poland. She dreams of living in Ireland. Portland! : She is happy, though, living in Portland. She’s been here about 10 years, after growing up in Minnesota. She loves the mountains, the ocean, and the vineyards. She enjoys heading to the coast for whale watching. She doesn’t even mind the weather here. It’s just so much milder than in Minnesota!